Get immersive audio whenever you’re at home thanks to the Yamaha YSP-5600BMK2 MusicCast Soundbar. Supporting both Dolby Atmos and DTS:X formats, the soundbar provides you cutting-edge hardware for impressive audio output. 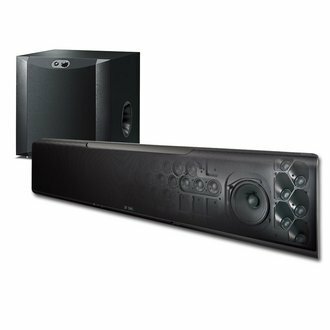 The Yamaha YSP-5600BMK2 MusicCast Soundbar features 6-array speakers on each side to provide cinematic surround sound.Featuring a 32-speaker array, the YSP-5600BMK2 has the horizontal sound power to deliver rich and thumping audio output.Thanks to its MusicCast capability, the Yamaha YSP-5600BMK2 can be part of your wireless network, delivering audio playback virtually anywhere at home. The Yamaha YSP5600BMK2 Home Theater System was added to the Home Theater Systems category in January 2017. The lowest price GetPrice has found for the Yamaha YSP5600BMK2 Home Theater System in Australia is $2,499.00 from Bing Lee.